From the Academy Award--winning Eternal Sunshine of the Spotless Mind (2004) and Academy Award--nominated Adaptation (2002) to the cult classic Being John Malkovich (1999), writer Charlie Kaufman is widely admired for his innovative, philosophically resonant films. Although he only recently made his directorial debut with Synecdoche, New York (2008), most fans and critics refer to "Kaufman films" the way they would otherwise discuss works by directors Woody Allen, Martin Scorsese, or the Coen brothers. Not only has Kaufman transformed our sense of what can take place in a film, but he also has made a significant impact on our understanding of the role of the screenwriter. 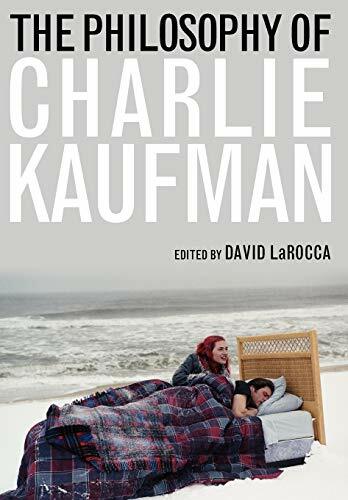 The Philosophy of Charlie Kaufman, edited by David LaRocca, is the first collection of essays devoted to a rigorous philosophical exploration of Kaufman's work by a team of capable and critical scholars from a wide range of disciplines. From political theorists to philosophers, classicists to theologians, professors of literature to filmmakers, the contributing authors delve into the heart of Kaufman's innovative screenplays, offering not only original philosophical analyses but also extended reflections on the nature of film and film criticism. David LaRocca is coordinating producer and consulting editor of the ongoing documentary film project The Intellectual Portrait Series, author of On Emerson, and editor of Stanley Cavell's Emerson's Transcendental Etudes. He lives in New York. LaRocca, David, ed. with contributions by Samuel A. Chambers.